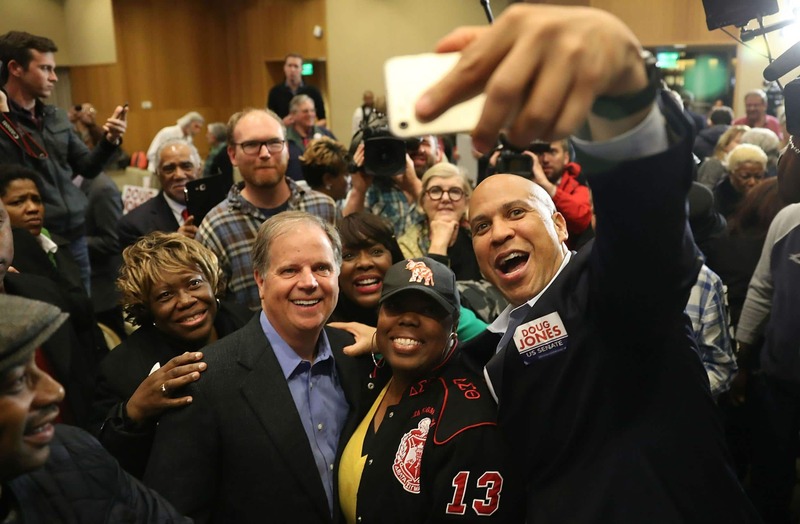 Black Women Rock the Vote in Alabama! Yes it is! Black people are ready to show up and show out for justice in this country and its high time our power is recognized and taken seriously. We are a legit ally, and with our community on any team, the right policies and candidates stand a much better chance of making it through to the finish line. The Alabama senate race is proof of just that. And of all places, in Alabama, where so much of our blood has been shed in pursuit of the right to vote in the first place. This a poetic and triumphant moment. Black voters leveraged this history in the race, and brought to the forefront the fact that Jones has convicted members of the KKK who bombed a local church, taking the innocent lives of four young girls. This victory is for them, and for all who have fought and struggled against the monster that is racism. One victory at a time we will win back our rights, our freedom, and our ability to flourish like any other human in this country. Today we honor the men and women in Alabama who fought to bring that dream closer to reality.